Allowing your self worth and happiness to be determined by your scale weight is not only damaging, but also pointless. You scale weight fluctuates and is not a true measure of progress or failure. Once you understand why your scale weight goes up and down, you’ll understand why it is the worst form of measurement. Your body is an efficient machine! Moment by moment, your systems are working together to keep your body functioning well. Your body strives for homeostasis. Intricate processes occur constantly to keep everything regulated- your temperature, fluid balance, oxygen levels and blood pressure (just to name a few.) And this is one of the reasons why your body weight changes throughout the day. Let’s take a look at some of the causes. When you eat a large amount of sodium (recommended daily intake is less than 2300 milligrams or 1500 milligrams if you are in a high risk group) your body will retain water. Water retention shows up as a couple of extra pounds. Your body will flush that water out eventually and you can help by staying hydrated and eating foods rich in potassium. Just like your body needs to balance sodium levels, it also has to adjust for fluid intake. If you are not drinking enough water and are dehydrated, you may weigh a couple of pounds less. The only significance of this is that you need to hydrate! Drink your water! It is not only imperative to good health, but it also helps to keep your body functioning properly. If you are staying hydrated, great! It may show up as a couple pounds on the scale, but your body will process this water and excrete what you don’t need. You want to keep hydrated by drinking plenty of water and eating fruits and vegetables, which also contain water. When you eat carbohydrate rich foods, your body actually needs to pull in more water to help break these foods down. This process is called glycogenesis. Through glycogenesis, carbohydrates are converted into glycogen which is stored in the liver and muscles. Glycogen stored in the liver and muscles also has water molecules stored with it. Guess what that means? You will have a little extra water stored in your body when your glycogen levels are normal. This water weight is normal and good. Hormones control most of the major bodily functions. A good example of hormones affecting scale weight is the menstrual cycle. Some women experience bloating and water weight gain during this time, since the hormone levels are changing. Have you ever worked out and had DOMS (Delayed Onset Muscle Soreness?) DOMS is a sign that you have stressed your muscles and caused small tears in them. Don’t worry! This is normal and actually good if you are trying to increase your muscle size. When you cause those small muscle tears, the body will repair them. The body increases fluid and nutrients to your muscles in order to rebuild them. Guess what this causes? 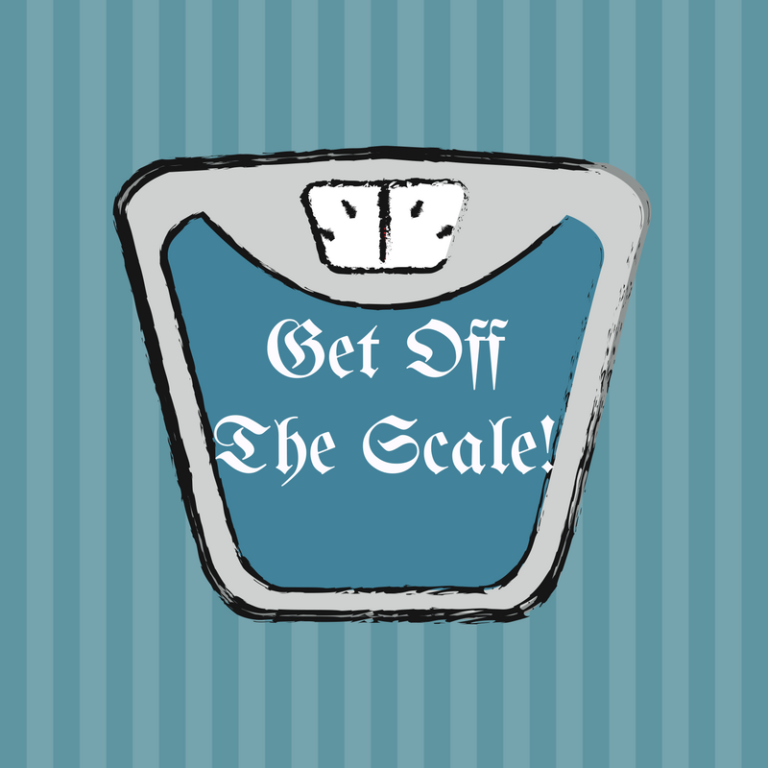 Yes, your scale weight to go up. As you can see, there are many reasons why the weight on the scale fluctuates. None of the above listed are permanent. Water weight comes and goes. Weight fluctuation will happen and is a sign that your body is doing what it needs to do. 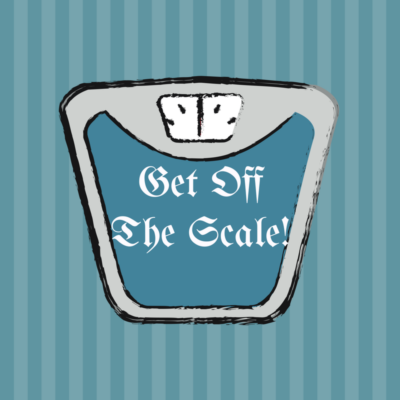 If weight loss is your goal, scale weight is not the best way to measure your progress. Scale weight does not tell you whether your weight loss has come from water, muscle or fat. If you want to lose weight, it’s fat loss you desire. Body circumference measurements and pictures give you a more accurate idea of how your body is changing. I suggest taking pictures and tracking your measurements every 2 weeks and logging them on a chart.